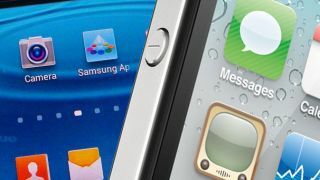 Attorneys for both Apple and Samsung have made their closing arguments, but Judge Lucy Koh is giving the companies one last shot at mending fences before the high-profile patent battle is decided by a jury. With jury deliberation expected to begin as early as Tuesday for the Apple v. Samsung lawsuit, Apple CEO Tim Cook and Samsung CEO Kwon Oh Hyun will have one last shot at resolving their differences today. At stake is $2.5 billion in damages should Apple convince a jury that Samsung copied its products, while the Korean manufacturer seeks $421.8 million in royalties from Cupertino, for alleged patent infringement. This isn't the first time Judge Koh has attempted to mend fences between the two tech titans. Back in May, Apple and Samsung executives met for 16 hours spread out over two days, but failed to reach a voluntary end to the legal brouhaha. Judging from the courtroom saga thus far, it seems unlikely the two companies will be able to see eye-to-eye at the eleventh hour, which means their respective fates may soon lie in the hands of the nine-member jury hand-picked to hear the case over the last four weeks.